Last week, Robby Flannery took to Twitter to announce his commitment to Brockport. 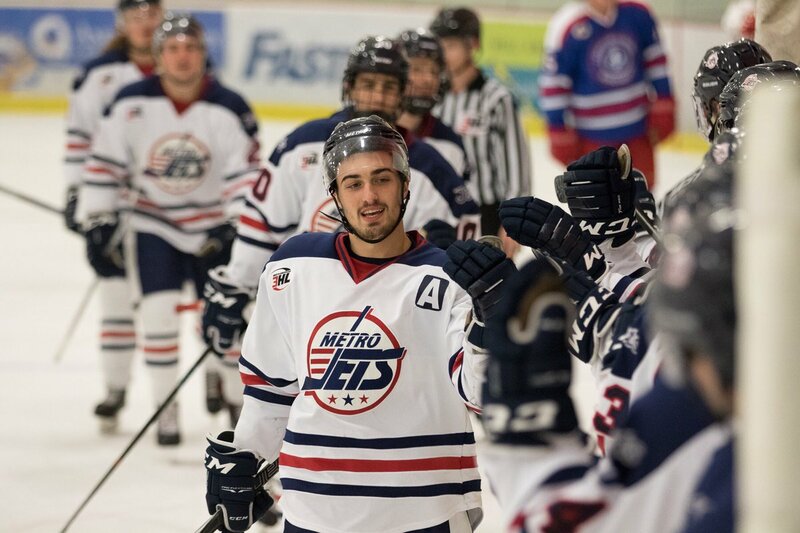 The 6'2", 190-pound Michigan native has been playing junior hockey with the Metro Jets of the NA3HL the past 3 seasons, most recently wearing the "A" on his sweater. His numbers have been great. In 2016-2017 he played in 43 regular season games in which he had a 13-24-37 line. In the 2017-2018 campaign, he played in 45 games and had a 14-33-47 line. Averaging more than a point a game as he did this year is always a huge accomplishment but consider how remarkable his output is -- he's not a forward, he's a defenseman! His defensive savvy and playmaking abilities have been a critical part of the Metro Jets success. In his 3 seasons there, the Jets won 3 Fraser Cups, the championship of the NA3HL.